The garden can be such a great area to entertain in the summer, and providing you have the room, a good sized terrace will be the ideal base for many enjoyable encounters with family and friends. If you are fortunate, the patio area will be well shaded, at least for part of the day, while having awnings fitted will ensure complete shade control at all times of the day. 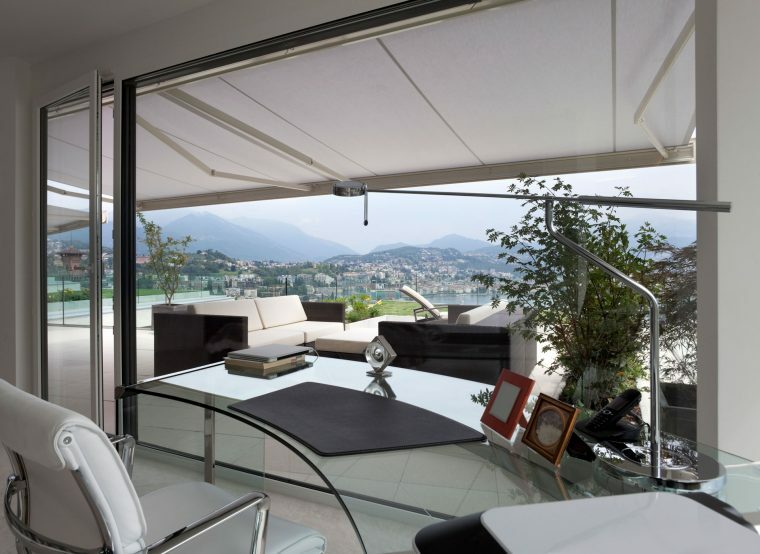 For the ultimate in style and convenience, retractable awnings will take your alfresco dining area to a new dimension. The finest imported acrylic fabric from Spain ensures the material is more than a match for the Australian climate, and with an impressive range of colours and designs, creating that perfect alfresco dining area is now within your reach. If you pride yourself on the appearance of your patio area, a fully retractable awning will complement the terrace perfectly, and with the right garden furniture and some creative lighting solutions, the scene is set for a memorable experience with family and friends. Once retracted, the mechanism is carefully hidden within a framework, which protects the inner workings from the harsh elements. With a special valance section that is carefully matched with the awning fabric, a semi retractable awning, and with the fabric offering a 5 year warranty on colourfastness, you and your furniture will be protected from the harmful UV rays. Technology allows for sensors that will automatically retract the awning when the wind reaches a certain speed, which is ideal. The awnings can also be tilted up to an angle of 45 degrees, giving you fine adjustment, and with a silent smooth motor, movement is effortless. As every home is unique, the awnings must be made to measure, and with fine craftsmanship from our experienced installers, every job is considered to be a challenge. Getting it right is something we strive for at Action Awnings, and the family owned business has been providing stylish shading solution in Western Australia for many years, both in domestic and commercial environments. With a wide range of fabric colours and patterns, you can select something perfect for your terraced area, and next summer will see the family spending more time in the garden. Aside from improving your living space, a quality awning will add significant value to the home, and looking at things in the long term, you should opt for the best quality. Aside from having a choice of fixed or retractable awnings, you can also have a semi retractable unit, and depending on your particular environment, the in-house design team would be able to suggest a few ideas on how to best complement the terrace, while providing total shade control. At Action Awnings, we pride ourselves on our attention to detail, and with our many years of hands-on experience, there isn’t a situation that we haven’t encountered before. If you are based in WA, contact us today and we will be only too happy to advise you on any aspect of awnings.